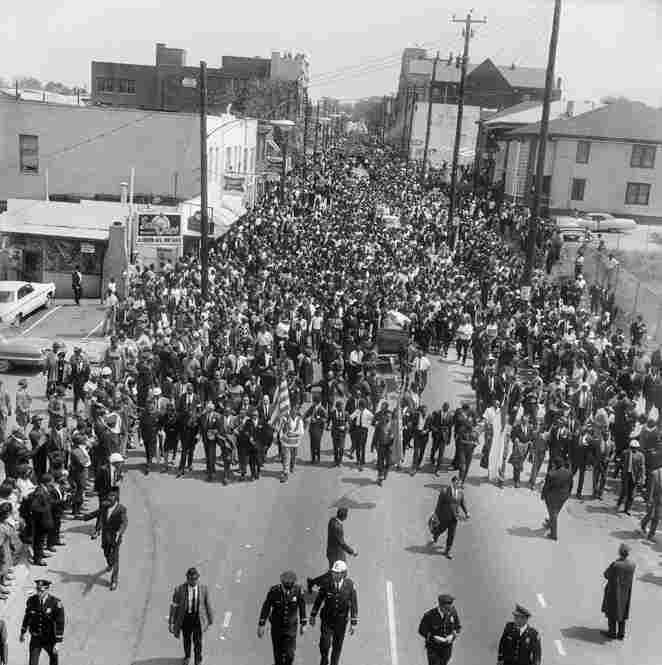 Civil Rights Photographer Recast As FBI Informant : The Picture Show The loyalties of Ernest Withers, touted as a seminal civil rights photographer, are being revised. Professor Maurice Berger is completely shocked. The exhibition that he curated ended Sunday -- although that's not why. 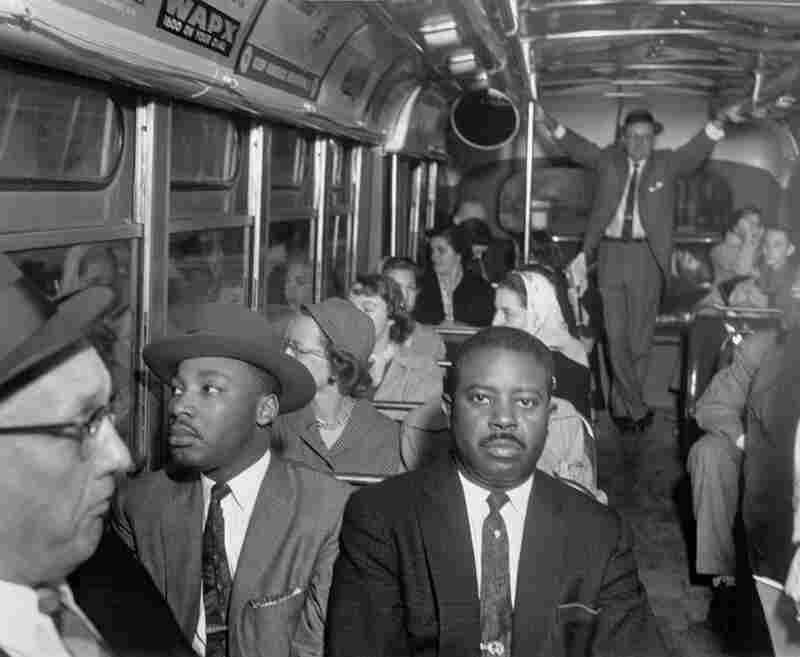 He's shocked because on that same day, a Memphis newspaper published a story that could potentially rewrite history. "This may represent a gnawing, horrible paradox that may never be resolved," he said on the phone. 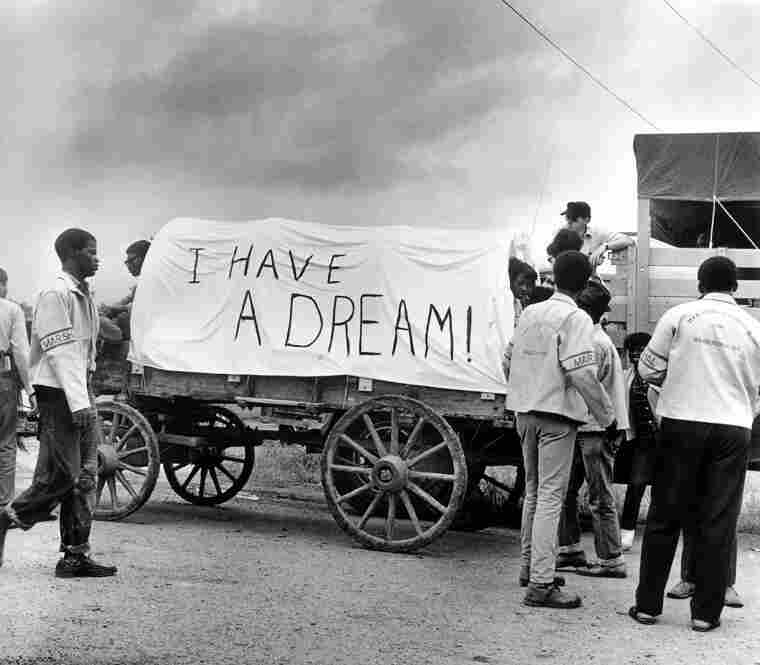 The exhibition that Berger curated, For All The World To See, was one of countless meditations on the civil rights era; but this one examined the power of visuals in catalyzing the movement. 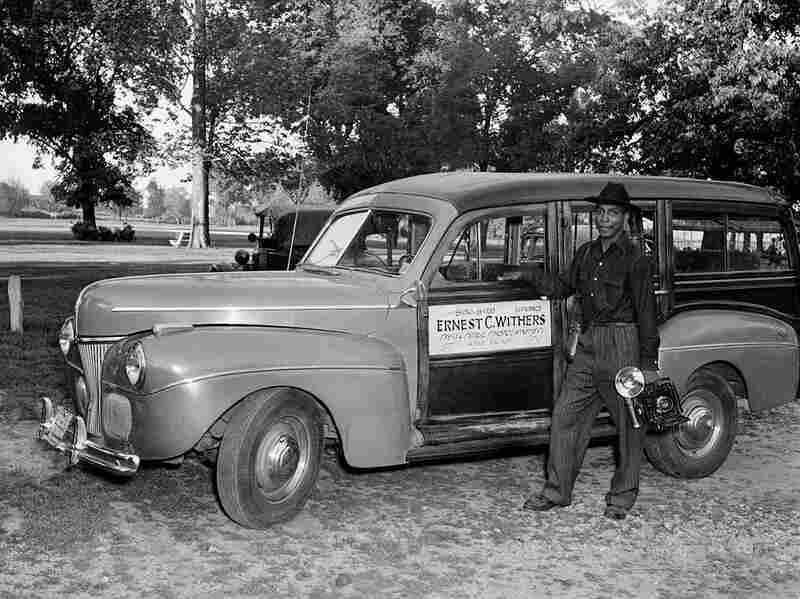 Take the photography of Ernest Withers, for example: His self-published coverage of the Emmett Till murder, Berger said, was pivotal in prompting activism on a large scale. The photos say it all is one glib way to tout the power of Withers' pictures. But, as recent news has propagated, Withers had much more to say -- and not in public protest but as a private informant for the FBI. The Sunday story unveiled his unsettling complicity as a mole, which came as a shock to not only Berger but also Tony Decaneas, the keeper of Withers' archive -- and to Rosalind Withers, his daughter. "This is the first time I've heard of this in my life," she is quoted as saying by The Commercial Appeal. Withers' involvement appears to have been under the tightest of wraps. 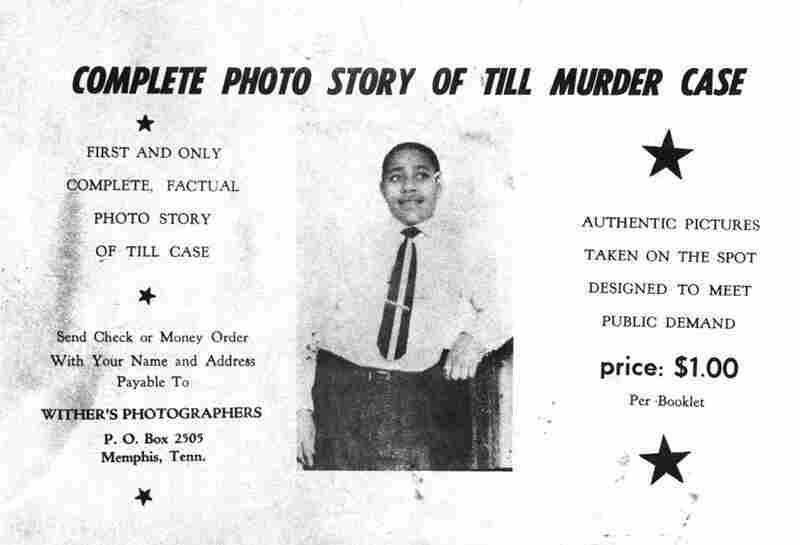 Withers' self-published pamphlet about the Emmett Till murder case is referenced by curator Maurice Berger as a major catalyst for the Civil Rights movement. 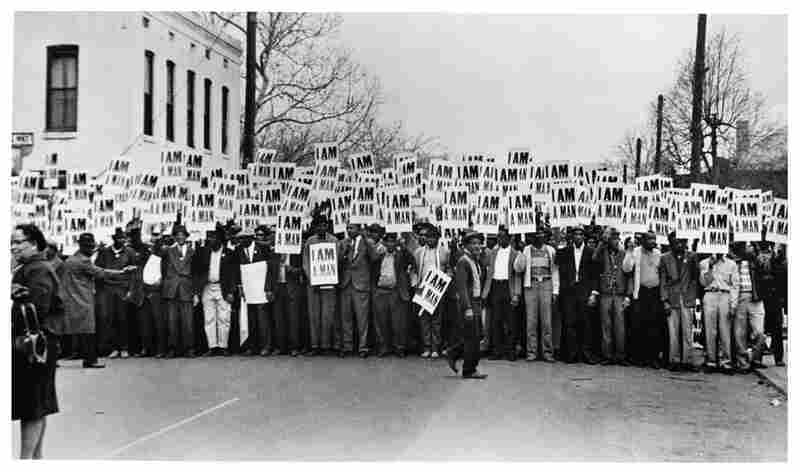 One of Withers' most iconic photographs: Sanitation workers assemble in front of Clayborn Temple for a solidarity march, Memphis, Tenn., 1968. Regarding his role as an FBI informant, there are more questions than answers. Was he a traitor to the civil rights movement? Or was he still withholding critical information from the FBI? Did he just need the money to support his eight children? Where were his loyalties and what were his goals? "We have to be careful not to throw the proverbial baby out with the bath water," Berger said on the phone. "In all fairness, we don't know the whole story." What we do know is that an April 1968 report, identifying Withers by his confidential informant number -- ME 338-R -- recasts him as a "prolific informant," The Commercial Appeal states, "who, from at least 1968 until 1970, passed on tips and photographs detailing an insider's view of politics, business and everyday life in Memphis' black community." Does this duplicity undermine the impact of Withers' photography? It's hard to say. For Berger, it's complicated, but he leans toward the negative: "We have only his photographs to judge him by, relative to the impact he had on the movement" -- which Berger describes as "profound." He continues: "No matter what I know ... I can't turn my back on this body of work which is so extraordinary." More than a wrench, this story has thrown something of a chain saw in the wheel of history. 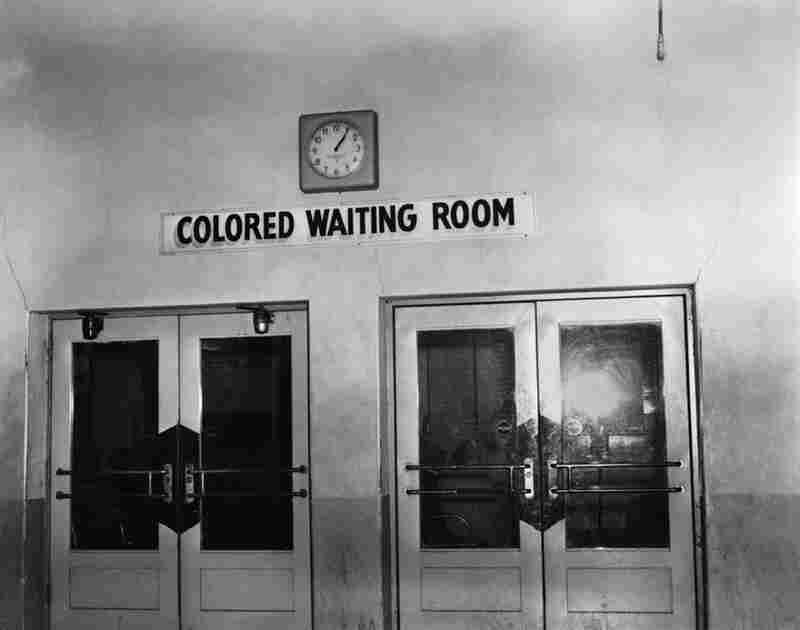 Do we have to rewrite the civil rights movement? Berger came down from the fence, proposing that Withers is redeemed by the overall impact of his imagery. "I don't think that [this] changes the power of the photographs he produced," he said.